One of the aims of management, for both Chronic Obstructive Pulmonary Disease (COPD) and asthma, is to prevent, or reduce the incidence of acute exacerbations. This is achieved with the use of regular long term pharmacotherapy coupled with an awareness, by both patients and healthcare professionals, of the early warning signs of an impending exacerbation in order that appropriate interventions to prevent an attack becoming severe and potentially life threatening can be instituted promptly . Regular review and ongoing therapy reduce the risk of acute exacerbations, but they can still occur, even in an otherwise optimally managed patient. It is therefore essential that healthcare professionals know how to assess the severity of these events and understand how to treat them appropriately. British and international guidelines for asthma and COPD reinforce the importance of prompt and vigorous treatment for all exacerbations. It has been found that most asthma attacks requiring hospital admission are not sudden in onset but actually occur over a period of time which can range from a few hours, days or even weeks. 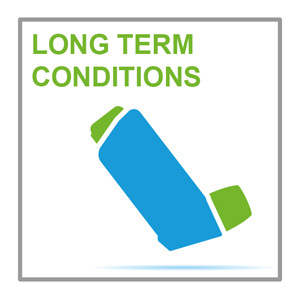 People with COPD may delay or fail to seek help and the consequences of this can be a poorer and slower response to treatment and increased risk of admission. So in both asthma and COPD if signs of exacerbation are spotted early and effective action taken then it may possible to reduce the need for admission and the risk of fatality. This resource, which is based on typical case scenarios, is offered at an intermediate level and includes five assessment questions to support your continuing professional development. Complete the resource to obtain a certificate for one hour of continuing professional development to include in your annual portfolio. The role of self -management plans and the use of ‘rescue medication’ in early treatment of exacerbations.